This show is a sensory delight! 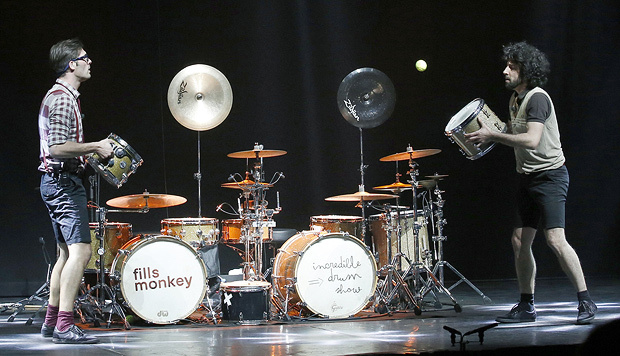 Obviously, there are drums… But on top of that, I was met by humour, spectacular lights and passion. And the timing was perfect! Sebastien Rambaud and Yann Coste have a beautiful rapport with each other, the audience and their instruments. 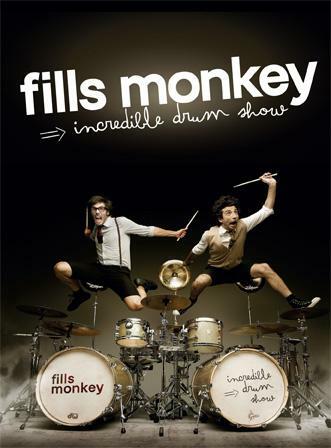 Not only do they play all rhythms imaginable, they play anything that remotely resembles an instrument, including their own bodies, and the heads of some unsuspecting audience members! As a musician, I was fairly sure what I was going to see in this show, and it surpassed all expectations and possibilities! Playing Habenera with tennis balls, Summer Loving with boom whackers and air drumming to Bohemian Rhapsody, this show is entertainment. It’s not surprising I was at the back of a very long queue to enter the venue where I crammed myself in to a full house. These two proficient performers have more than technical prowess and style; they have heart. And they clearly love to play, in all senses of the word.